Heat oven to 350°F. Spray 13 x 9-inch (3-quart) baking dish with cooking spray. Layer frozen pepper stir-fry, chiles, chicken and taco seasoning mix in baking dish. 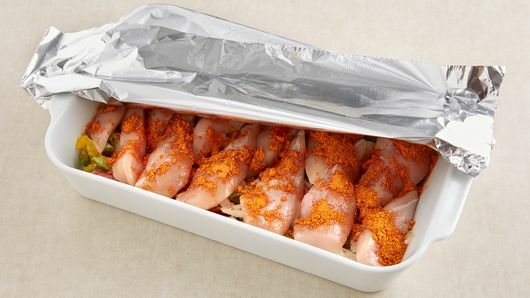 Cover with foil; bake 20 minutes. Remove foil; stir. Bake uncovered 20 to 25 minutes longer or until chicken is no longer pink in center. Serve in boats. 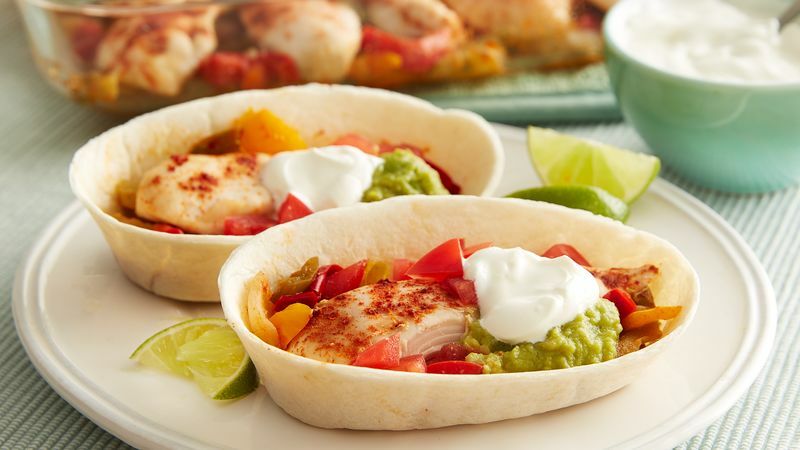 While chicken is in the oven, gather up additional toppings like sour cream, guacamole and diced tomatoes. 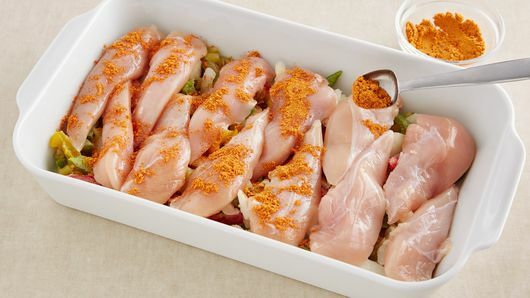 A squeeze of fresh lime juice will add a fresh touch to the chicken.